The Minister of Communication and Government Spokesperson, Issa Tchiroma Bakary, says secessionists group have declared war on Cameroon. Tchiroma made the declaration in Yaounde on November 10, during a press conference on the prevailing situation in the Anglophone Regions. Following the death of four soldiers in Jakiri, Bafut and in Akwem in Manyu, the Minister revealed that six suspects have been arrested in Misaje as they were about to cross the border into a neighbouring country. According to Minister Tchiroma, the six terrorists included: Flavian Wirngo Bonkikeh, Livinus Ndzelamonyuy Wirashy, Leonard Njodzeka Suiliy, 26-year old, Ernest Wala, Livinus Ngoran, and Raoul Mdzeyuf. According to him, during their questioning at the Northwest Gendarmerie Legion in Bamenda, the suspects admitted to be the perpetrators of the Jakiri Technical High School attack on November 6. “May these crooks of the Republic who have chosen the path to blood and gratuitous violence know that they will always find a united Cameroon, from North to South, and from East to West,” says the government spokesperson. 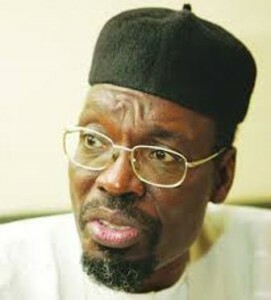 Tchiroma said Government is astonished by the silence showcased by NGOs defending human rights and freedoms. To him, this is a prerequisite and a non-negotiable imperative on which no transaction will be authorised when it comes to the sovereign duty incumbent upon any State, for the safety and protection of persons and property and the preservation of our territorial integrity.